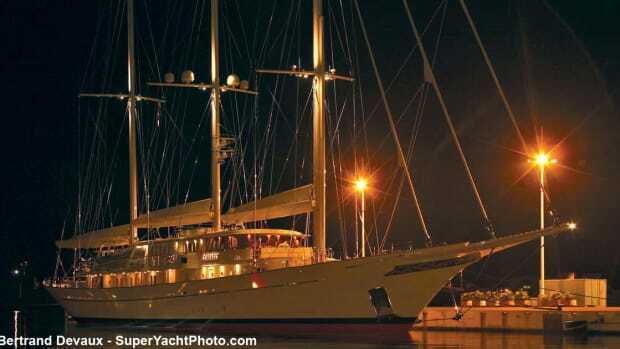 A traditionally styled yacht that sails like a witch. Eighteen knots of winter wind whipped up the sea on the day I found myself on the wheel of Wisp. The city of Palma de Mallorca lay behind our frothing white wake. 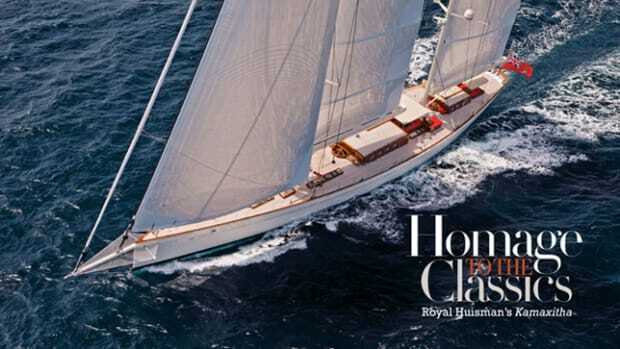 Lying over to starboard with the wind on her port bow, this 156-foot (47.6-meter) classically styled sloop from Royal Huisman was in her element. So was I.
Handlaid decks built using teak strips follow the same construction techniques of superyachts built in the 1930s. 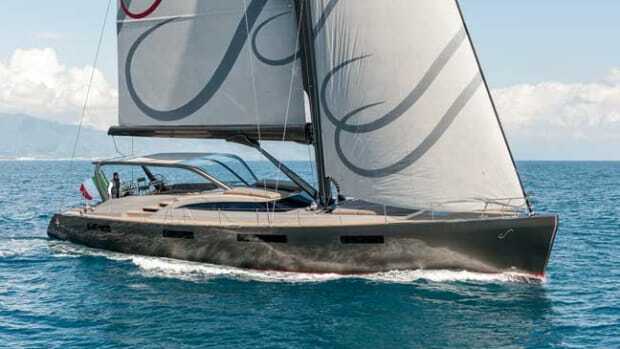 Standing upwind of me was the yacht’s designer, André Hoek. “Bring the wheel more to port and get a little closer to the wind,” he suggested. On my right stood Guy Hayward, the yacht’s captain, and I could feel the apprehension he was seeking hard to hide. He did not know me as a sailor and was anxious I might break something. “If the wind increases I think we might need to put another reef in her,” he commented. 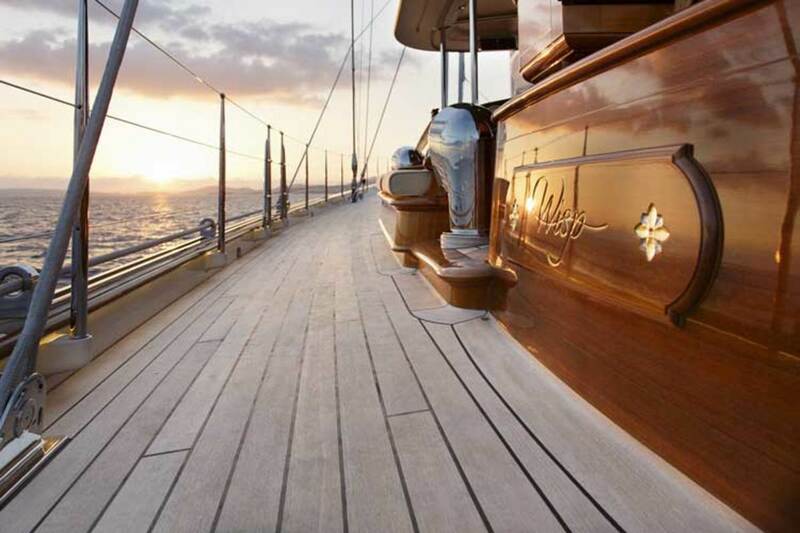 Form and function come together in the exquisite detailing of the visible moving parts on deck. 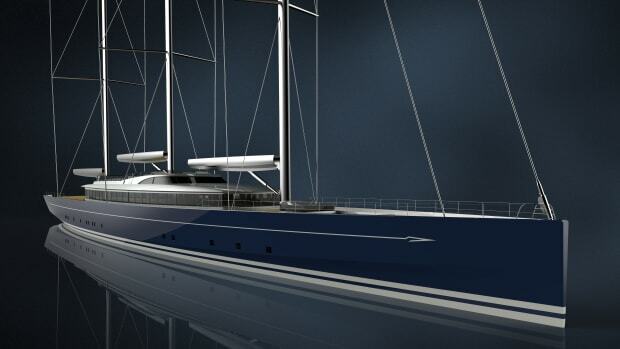 Wisp is the first yacht Hoek has designed and seen built at Royal Huisman in Vollenhove, Holland. 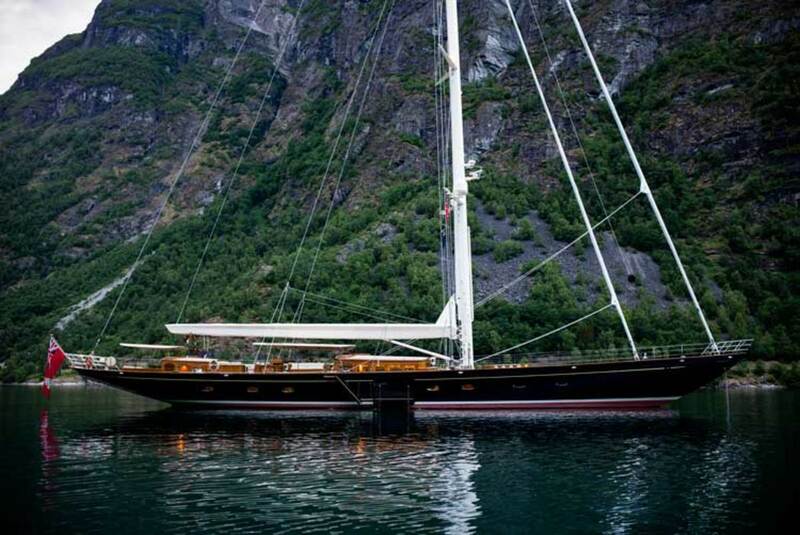 Here, the owner has exactly what he asked for: a sloop with classic lines that sails like a witch. 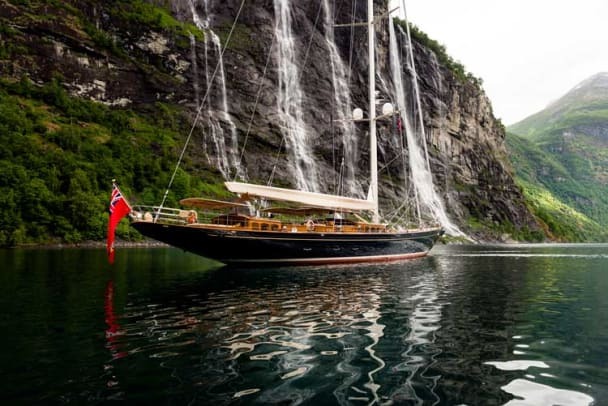 While she looks traditional on deck, her underwater profile is at the cutting edge of naval architecture. 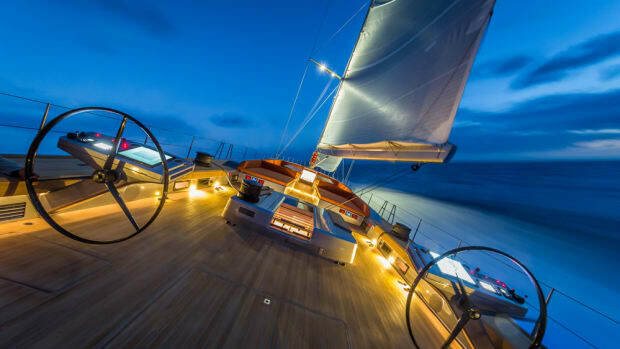 Her underwater lines, carbon-fiber cutter rig and efficient sailhandling systems are optimized for performance by a leaner complement of crew. 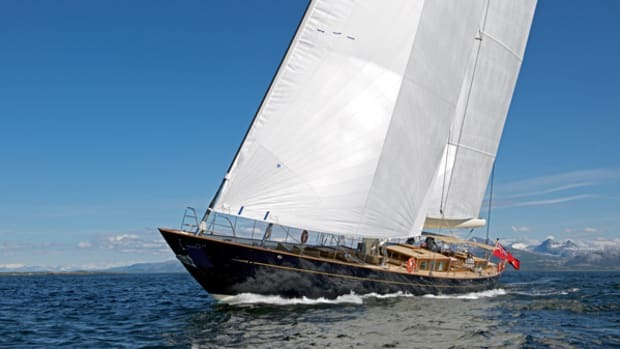 Yachts of this style and length built in the 1930s would have had a slim hullform, but Wisp is slightly chubby, if not downright fat. That is what gives her the pointing power and the chance to get closer to the wind. 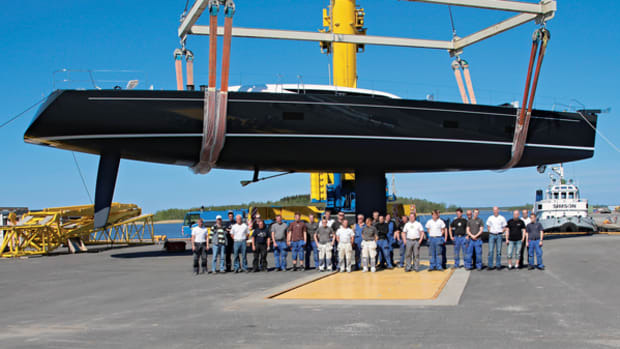 Both Rhoades and Young have designed yachts built at Huisman, but this was the first occasion on which they worked with Hoek. 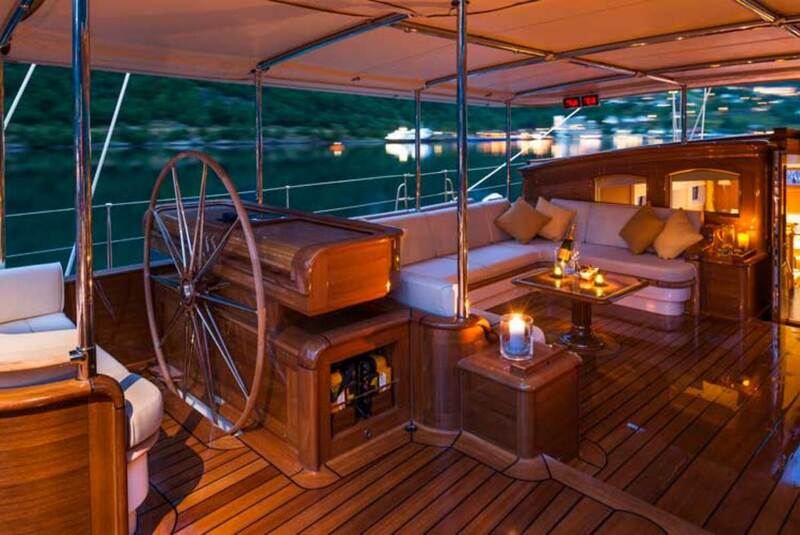 The interior displays class in much the same way as the yacht’s clean and uncluttered decks topside. 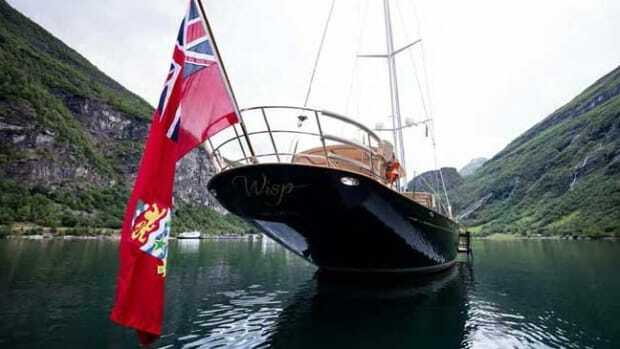 There is room for just six guests in three en suite cabins, although the double to starboard does have a sofa that can convert to a single for when the owner’s grandchildren are aboard. The aftermost of two spacious cockpits is reserved for the owner’s exclusive use. 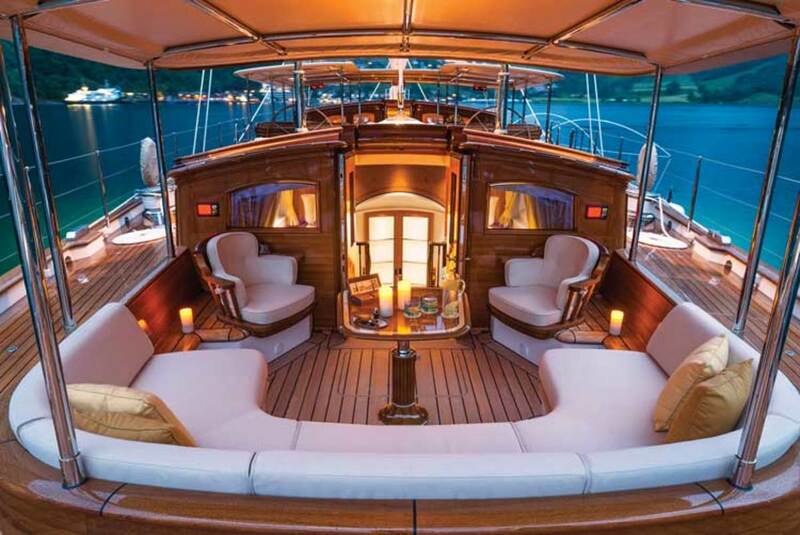 Underway, the main cockpit is the center of all the action, while in the evening hours the same spot is one of tranquil relaxation. Nothing is loud or offensive about this design, but the choice and heritage of many features hold a story. Take the heads. Here the owner sourced a style of tap that he found particularly pleasing because of the handles. Rhoades Young took that design and created ebony door handles to match, fitting them to the inside of all cabin doors. 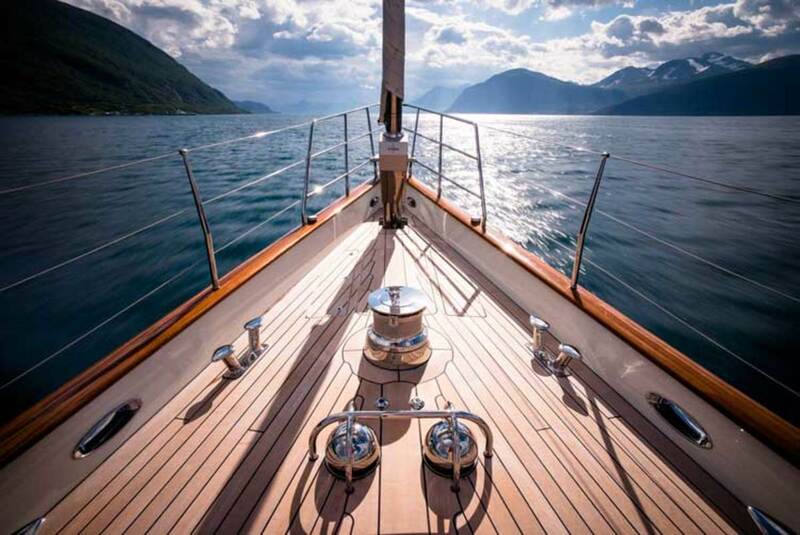 That led to the design of the drawer pulls, for which ebony was again chosen to contrast with the honey amber-colored oak that is the predominate veneer in the yacht’s interior. It sits well with the decks, which are a dark and richly stained walnut when not covered with a light-green handmade wool carpet. Great care was taken to ensure a quiet and continuous flow in the wood’s natural grain, giving a visually pleasing calmness to the interior. In the same manner, the deckheads, typically either paneled or clad in leather, have been given simple, unembellished frames with relaxed, linen inserts. The neutral background of the cabinetry around the interior is contrasted with dark wenge inlays and fabrics in colors that range from fresh, leafy greens to rich, duck-egg blues and burnt oranges, punctuated with brightly colored table lamps that have been converted from Italian glass vases handcrafted in Murano, Italy, near Venice. Every detail was considered down to the filling of sofa and chair seats that varies in firmness depending on area, location and intended use. 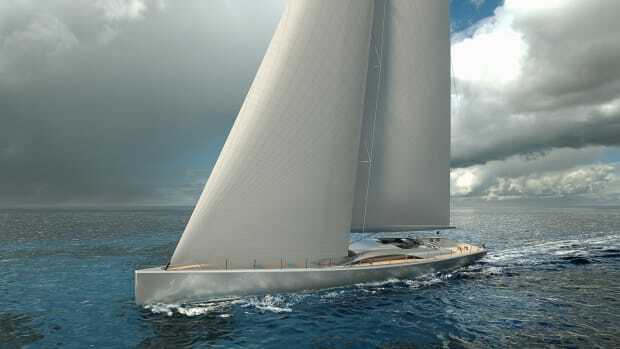 Hoek, Huisman and Rhoades Young have created a masterpiece—a modern-day classic of which Nathanael Herreshoff would very much approve. There is much about Wisp to like and very little that thwarts. Perhaps if I am truthful, the only paradox is that I am still not able to feel that power while standing at the helm.